What is a DataFlow Object? 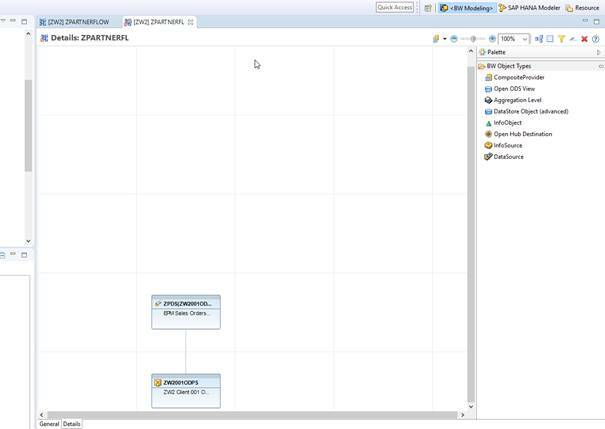 The Dataflow object is a way to model your dataflow within SAP BW/4HANA within the Eclipse world. 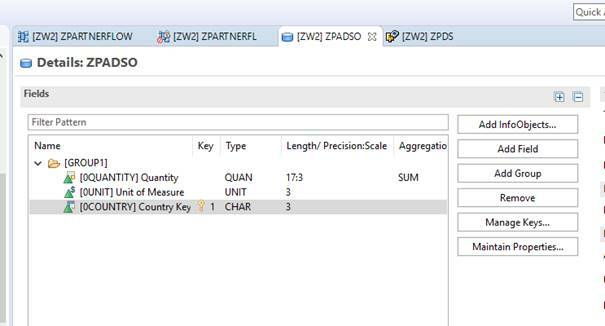 It is a graphical feature which also enables you to create a dataflow from start to finish. 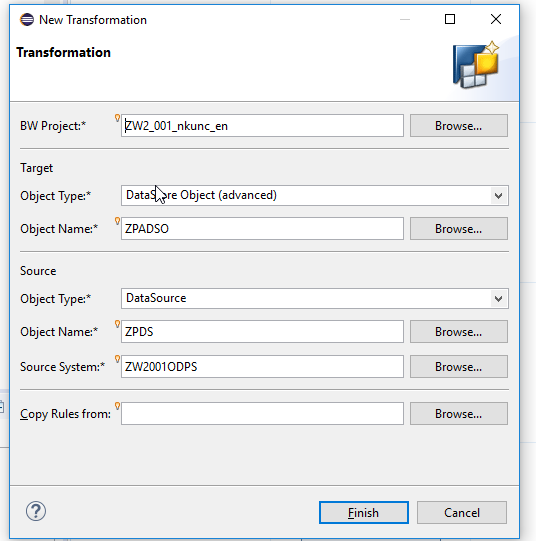 All created objects eg Datasource, ADSOs, InfoObjects etc are available for re-use within other dataflows. The Dataflow object is transportable. Another benefit is the feature of being able to add documentation to used objects. 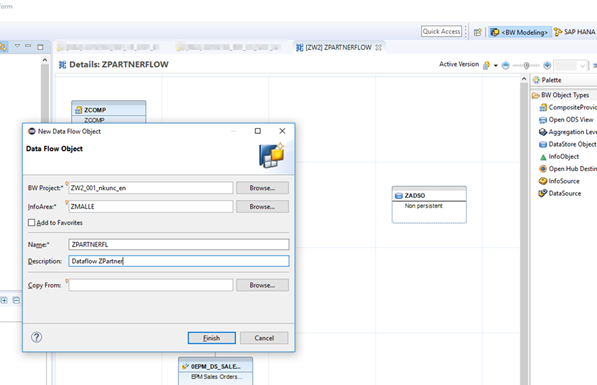 In addition you can use a DataFlow for Blueprinting by using non persistent objects, once you are fine with the model, persistent objects can be created out of the Data Flow. If an object is persistent or not can be easily seen by its backgroundcolor, white means non persistent, blue means this object is already persistent. Furthermore, the Data Flow object itself has no influence on the Runtime. Now I want to show you how to Create the DataFlow Object with an example of a complete dataflow from Datasource to CompositeProvider. When creating the Dataflow object a transport request opens up. 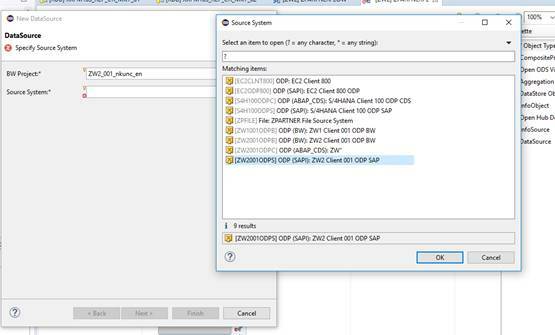 Select a Source System and if you want a copy from an existing or a proposal from an ODP connection. 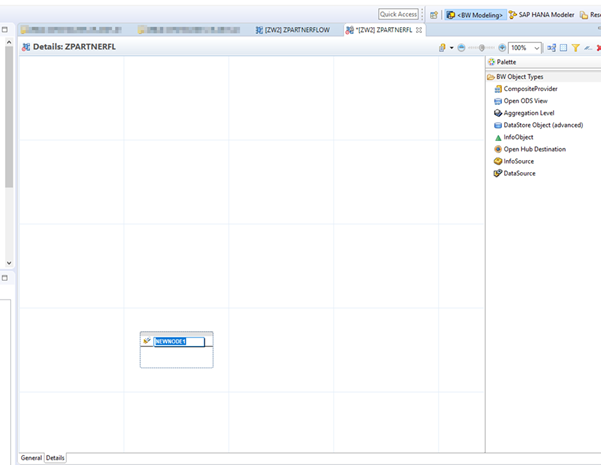 By clicking on the „NEXT“ button the Dataflow is shown – now it is possible to add any other object to the dataflow. Now you created a persistent ADSO. 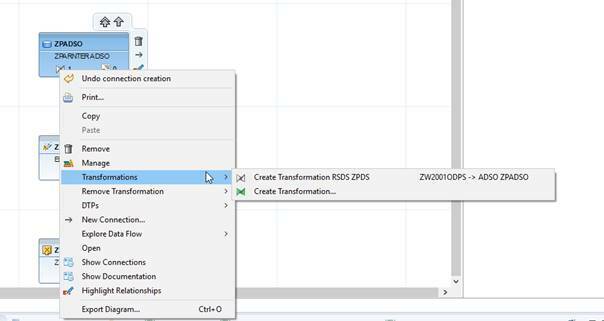 Now you’ll see a transformation and DTP creation is possible based on the connection. In addition, if infoobjects are available in the source – they are automatically connected. Don’t forget to activate! Same for the creation of the DTP. 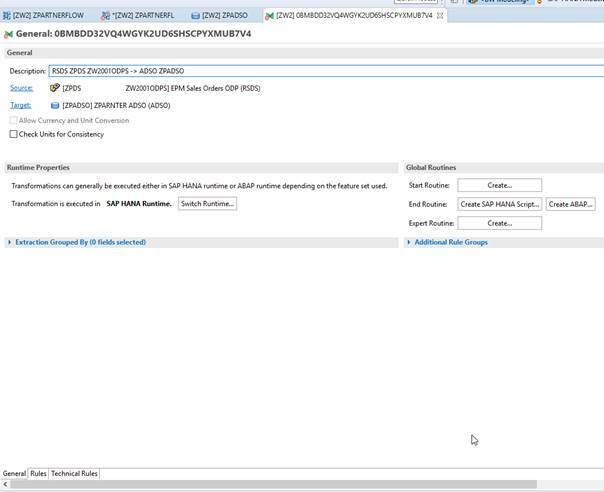 All DTP properties can be selected. You can see/select/change all the properties already known in BW. 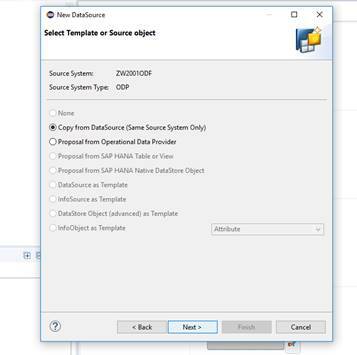 Same process for the composite provider – drag and drop the composite provider, assign a name and create a connection to the ADSO. 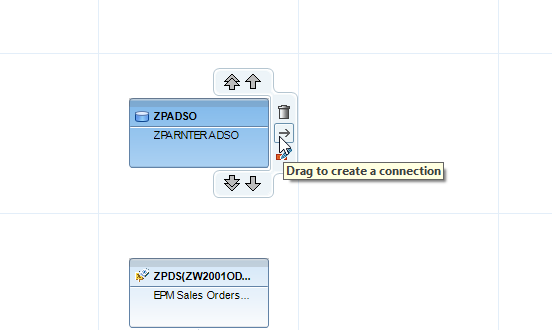 It is also possible to add a comment for the specific selections within the dataflow. Click the one you want to comment on – go to the properties section and add a documentation. 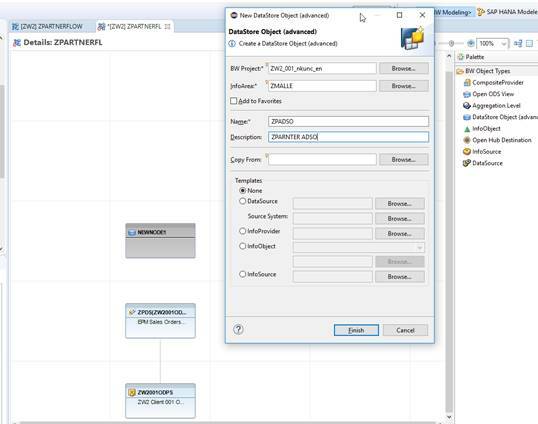 As you could experience, the Dataflow object is an easy way to model your intended dataflow. 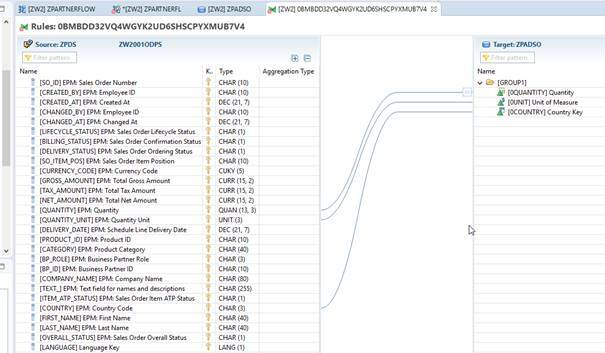 You can see all the different stages on one side in one place and do not have to click yourselves through your modelled dataflow, which can be difficult and time-consuming with two different tools either the Eclipse modelling tool and the SAP GUI. 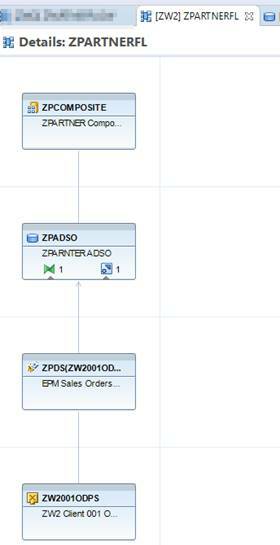 Although it is a simple way to create a complete dataflow it does not replace process chains for loading data as it is moreover a graphical view of your model. 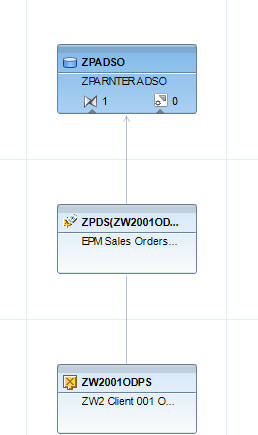 For loading the data into your model you also need to create a process chain. You can use Templates eg. Datasource or Infosource as templates and more. When you have a Sourceobject like an Infosource and a Targetobject like an ADSO, first create the connection in between before persisting the ADSO, then all fields/infoobjects of the source are automatically taken into account for the Datamodel of the Target. if you want to use DTP Monitor you have to execute the DTP in the DTP Maintenance Screen, from here the InPlace GUI is being called.